Test your Pearl Jam knowledge for a chance to win a “Let’s Play Two” vinyl and official game baseball signed by the band. There are four levels to complete. Five songs per level. Get four correct to proceed to the next level. 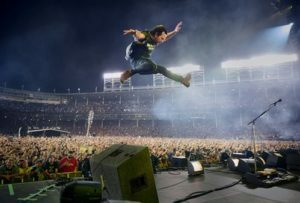 All of these songs were performed during the concerts at Wrigley Field in 2016. Contest ends 12/1. Good luck.